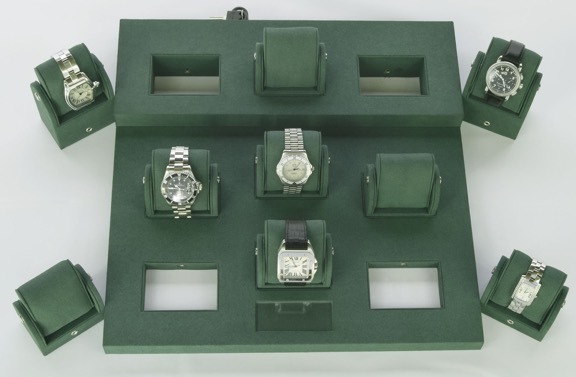 Gunther Mele has announced 2 exciting new displays that will be introduced at JCK in June. Their new Bridal display is designed to display rings by style and in a good-better-best format. This matches the proven display concepts that are recommended by Larry Johnson to his consulting clients. 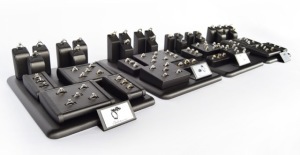 Stop by booth # at JCK to see all our exciting new packaging designs for 2015. Nothing completes the sale of jewelry better than the right packaging. 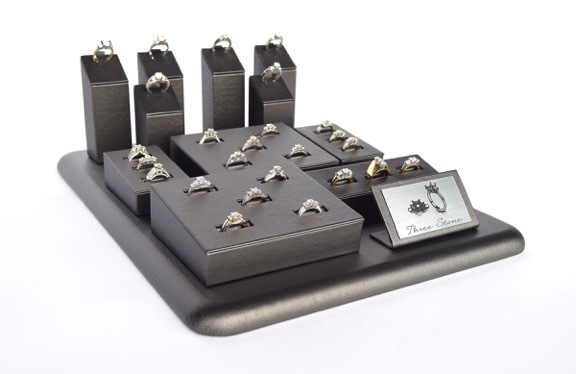 The proper presentation adds value to your customers’ purchase, brings out the best in your jewelry and reinforces your brand message. Gunther Mele Limited has an extensive selection of jewelry packaging solutions from ring boxes to necklace boxes. We offer jewelry packaging of all colors, shapes and sizes, and can personalize each box with your store logo and branding message. Don’t see what you’re looking for? Let our talented in-house design team create a look that is unique to your store. 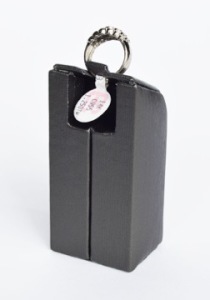 Have a question about our jewelry packaging? eMail us or give us a call at 1‐888‐486‐8437. Preowned luxury timepieces are a highly profitable category for many independent jewelers. 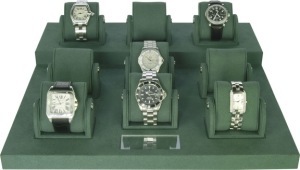 Preowned watches bring into your store a predominantly male clientele with higher than average income. Unfortunately, there is a risk of smash and grab thieves also paying attention to your selection. Gunther Mele has solved this security issue by developing this lockable watch display. 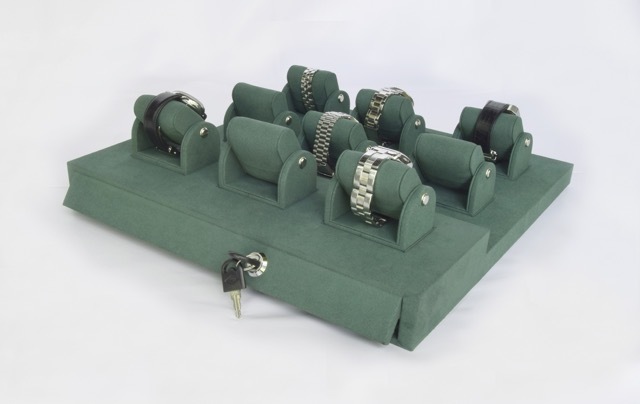 The individual pillows are held in place by a hidden metal rod that must be removed in order to take the watch out of the case. The mechanism is hidden by a locked flap. This Gunther Mele exclusive is available at an introductory price of $349. 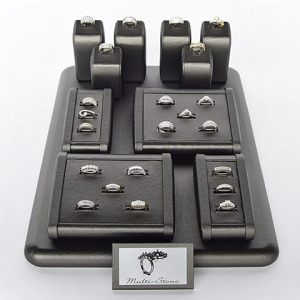 Stop by the Gunther Mele booth # at JCK to see the sample and place your order.